Wondering how to make a form fillable? There are many different ways to create a fillable form. You can use Microsoft Word to create a form, or you can use a PDF editor. 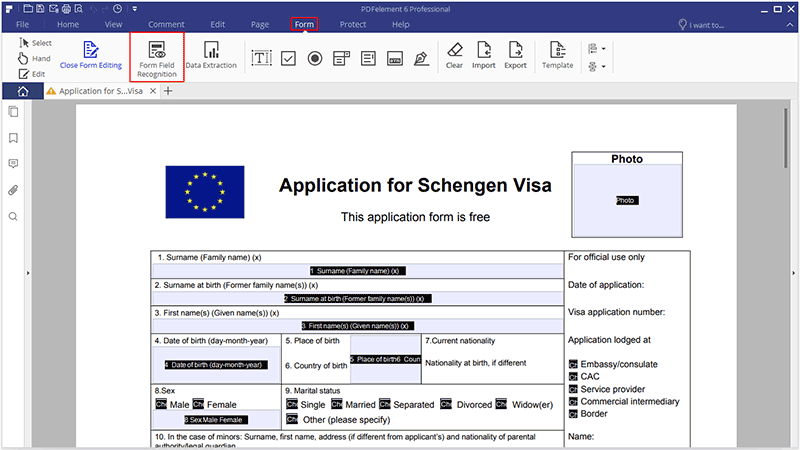 Creating a fillable form in Microsoft Word requires complex editing tools that aren't always easy to use for the average person. Making a fillable PDF form is not a bit more advanced that making other edits to PDFs. 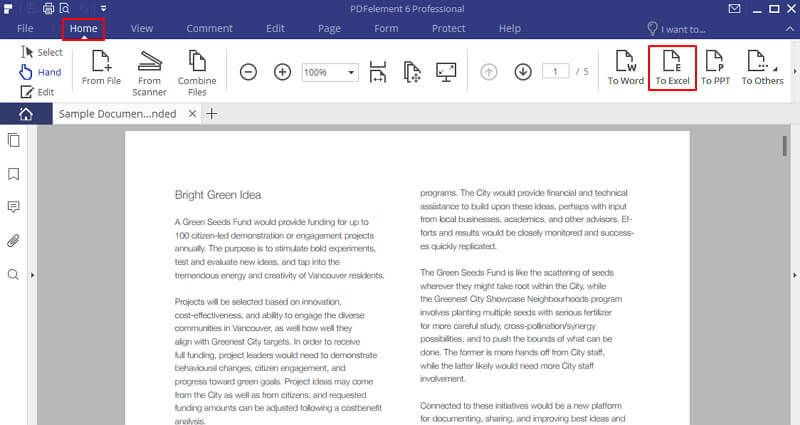 In this article, we'll cover how to make a PDF fillable with PDFelement. Making a PDF form fillable in PDFelement is pretty easy to learn once you know the right steps. Here's the complete step-by-step guide for accomplishing this task. 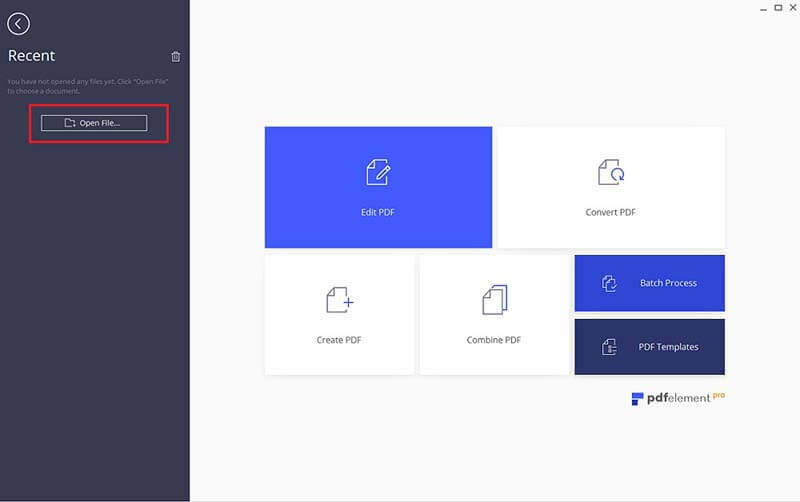 The first step is to open your PDF file using PDFelement. Click on the "Open File" button to select the form that you want to fill. After opening your non-fillable PDF file in the program, there are two methods for you to make it fillable. If your PDF file already contains tables, lines or boxes in it, then you can go to the "Form">"Form Field Recognition" button to make the PDF form fillable automatically. If your PDF file does not contain any tables or fields already, then you can create fillable fields manually. Click on "Form" > "Text Field", "Check box", "Radio button" or "combo box" buttons to add a field anywhere you want on the PDF page. Double-click on the newly-added fields to open the properties box so you can adjust the properties as required. And there you have it - that is how to make a fillable form in PDF. PDFelement is a great application for both Windows and Mac, working smoothly on both operating systems. It is the perfect PDF editor, reader, annotate, creator, form filler and even converter. You can easily create or edit PDF files in every possible way. You can even edit scanned PDF files. When it comes to form creation, you can add text fields, check boxes, radio buttons, list boxes (drop-down menu) and even a digital signature field. 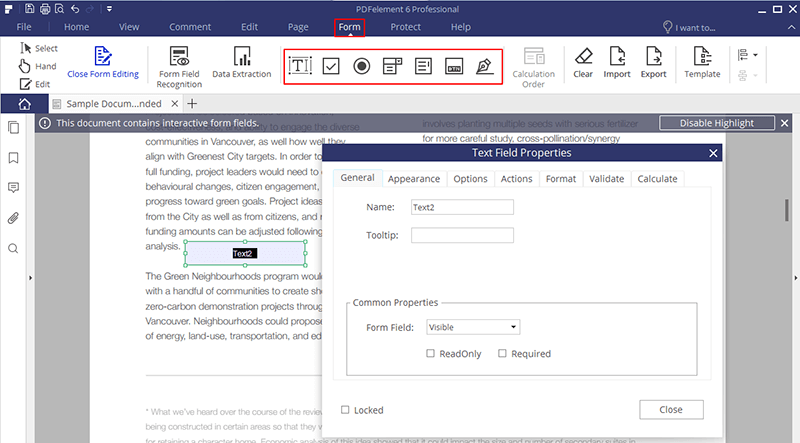 After importing your forms to PDFelement, it will automatically detect the fillable fields, which can be filled with text or by selecting the appropriate option. You can also convert PDF forms to Word, Excel, PowerPoint or even a simple text document to send to different users. In addition to the above method, you can also convert PDF forms into fillable Excel sheets for easy use. Click on the "To Excel" button under the "Home" tab. On the next screen, select the number of pages that you want to convert PDF to Excel and change the location of the output file. Finally, click on the "Save" button to save your file as an excel sheet.